MigrantCard Informatics cc provides differs card solutions for many organizations that want to outsource the administration, management and production of their ID Cards. We provide tailor made solutions for both solutions for both companies with low-volume requirements and larger organizations with high-volume multifunctional card needs. Our services offer total package, which includes card design, scanning, and image capture, embossing, encoding, and project management. 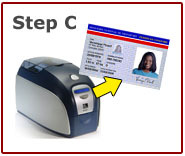 MigrantCard offers ID Solutions for a wide range of organizations and industries. Below is a brief selection of the various sectors we can be of service. We offer perfect solutions for delegate and visitor registration, visitor control, and post-event reporting. Access control, identification cards, visitor management solutions for buildings. We can implement systems at cost effective prices and also incorporate our systems into any existing database. Staff ID Cards, access control cards, time and attendance clocking cards and much more. Club membership cards, loyalty Cards; video clubs, health clubs, spas, recreational facilities are amongst a large group in this category that can benefit from our services. MigrantCard understands the need for security in hospitals and health institutions; we have the most efficient and functional card solutions at costs effective prices for health institutions. We also care!!!! Visitor control, Identification, and access control, are various features needed in prisons and correctional facilities, we offer various solutions to suit these needs. Security and visitor control in retail centers such as shopping malls can be a problem to management, and guarding companies as well, MigrantCard offers tailor-made personnel control systems which allow easy staff identification, duty managers, contractors, maintenance team, etc. The need to monitor and report flow of personnel to buildings (residential & official) is of great importance to security personnel and residents as well. We offer card-based solutions at unbelievable low costs to property owners and mangers. Enquire about our tailor-made solutions at info@migrantcard.co.za. MigrantCard Informatics has been very active in the educational sector providing cost effective student identification cards, access control solutions in both primary and tertiary educational institutions. We offer the best pricing on card management systems for educational institutions, we also supply card personalization equipments to suit the needs of various institutions: No number of staff or student is too small, we cater for all quantities!!! Do you need student and staff identification at low and affordable costs? Call us for a free demo!!! Card Design is the first step to your ID card, we can design custom made cards to meet your specifications, we also have various pre-designed templates from which you can also choose, better still send us your logo and we will design pre-approved cards for your perusal for you to choose. Send us your graphics at bureau@migrantcard.co.za we have a 24hr turn around time. 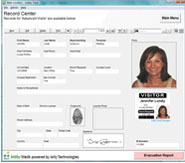 Image and data Capture is the next stage of your ID Card, we offer various methods of image and data capture. Photos, data, and other required info could be sent to our bureau center via e-mail, or better still we could visit your sites(s) and capture photos and data through our mobile photography unit. This option eliminates the cumbersome exercise of gathering data by the human resources department, it also allow instant issuance of cards. 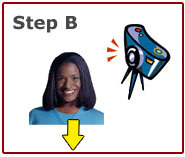 The final step includes printing, laminating (if needed), embossing (if required), and encoding. Depending on the client’s needs, we could also incorporate access control functions on the card. We do print monochrome (single color) or full color single or dual sided cards. Other secure features such as laminates, seals, UV printing etc can be added on demand. MigrantCard Informatics is a total card solution provider, apart from the general industry solutions we also offer customized card applications to suit the specific client needs. 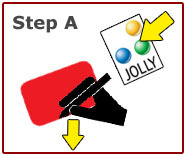 We have a four step approach to our customized card solutions. DEFINE: We go through a process of defining the problem that needs to be solved with the application. We ascertain the project goals and requirements. DESIGN: We then design the software architecture, the processes involved, look and feel of the application. DEVELOP: Once we have designed the system, we then develop the software to suit the expected goal. DEPLOY: This is were all the testing, quality assurance and launching will be done.